Jack and Maddux are already good buddies! As my good friend, Lori, says, Happy Weekending, everyone! This entry was posted in Life and Whatnot and tagged Catch the Rush, Lynn Rush, Paranormal Romance by Lynn Rush. Bookmark the permalink. Guess I should have mentioned that I’ve got a collie. My Bad. Now it is a full house…. 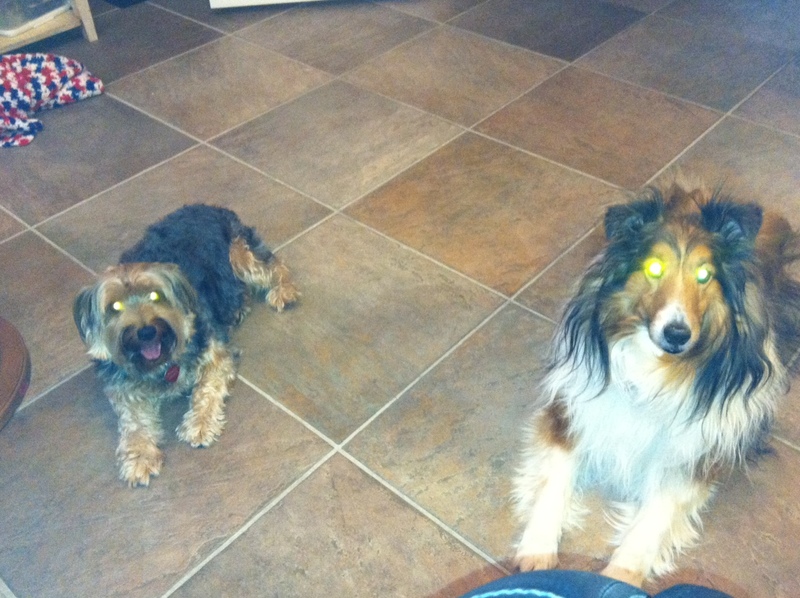 I used to have a mini sheltie. Such sweet dogs. Have fun with your company. Lindsay, you are always cracking me up. LOL. Hi Lynn, I’m dog sitting too. I think I have a horse in my house. I’m not used to the big Lab’s. We keep teasing that our dog, Rusty, has a whip for a tail and Diamon has a club. He keeps waking up my middle son with his tail beating against the wall outside his bedroom. Ah yes, Shelties. Collies that shrank when washed in hot water. Just kidding. I think. Look at the bright side, one of the three, probably the terrier, will think up some mischievous behavior and the other two will take turns improving on the idea until it’s perfect. Ah, dogs, woman’s best friend.